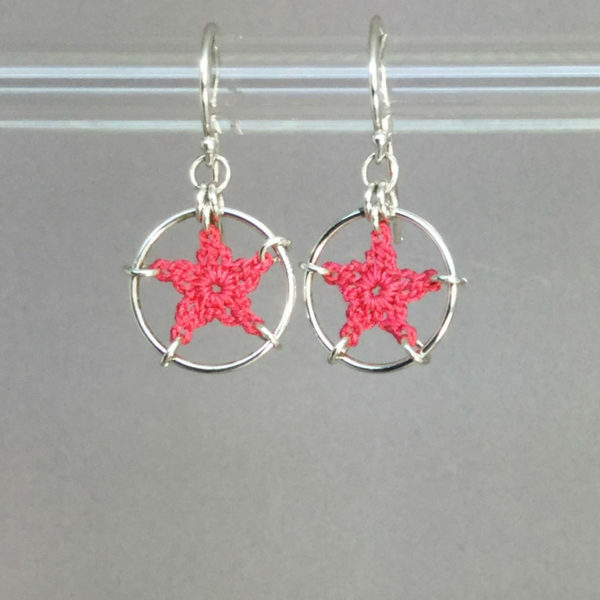 Crochet doily earrings in hand-dyed hot pink cotton. 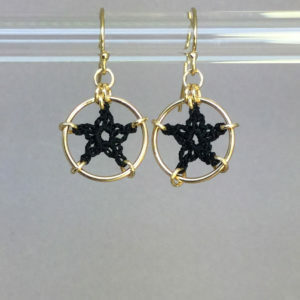 A tiny bit of crochet in a tiny hoop! 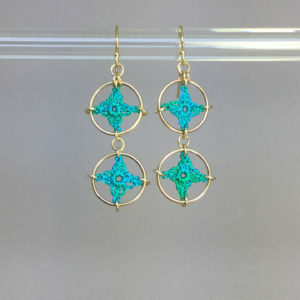 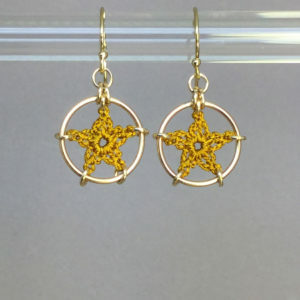 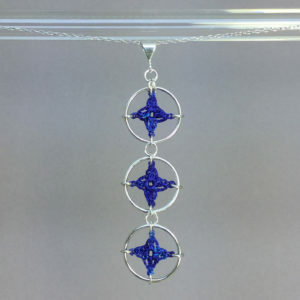 The diameter is 5/8″, smaller than a dime, surrounded by sterling silver hoops. They are lightweight and very comfortable.